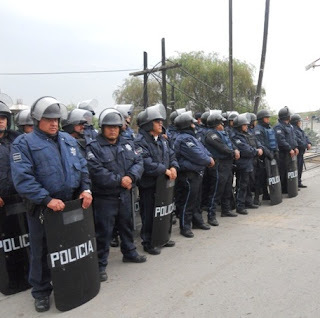 A raid at a local police department in the state of Puebla turned up 113 fake cops — out of a force of 185. They all face charges of impersonating a police officer. 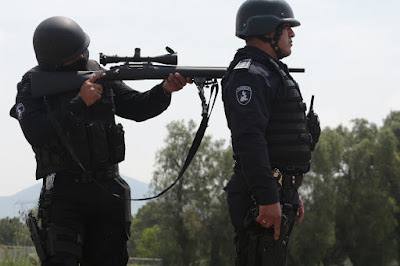 The state government took over policing duties in the town, San Martin Texmelucan, which has seen a recent spike in violence and dismembered bodies. The crooked cops paid bribes in order to get their badges. 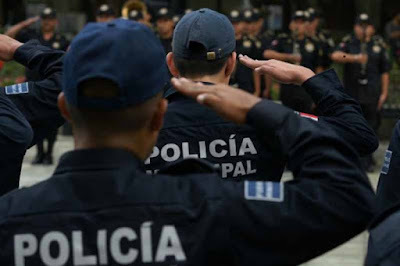 Some 'real' officers were arrested for charging up to 5,000 pesos ($260) to allow their shady new colleagues to avoid vetting and background checks. 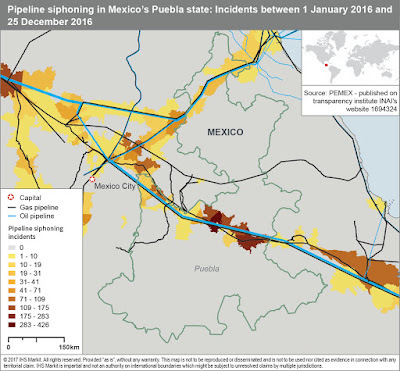 Puebla has the highest number of illegal pipeline taps used by gangs to steal diesel and gas.